✧ Free Japanese Print Appraisal. ✧ Get the current values and prices, free of charge. 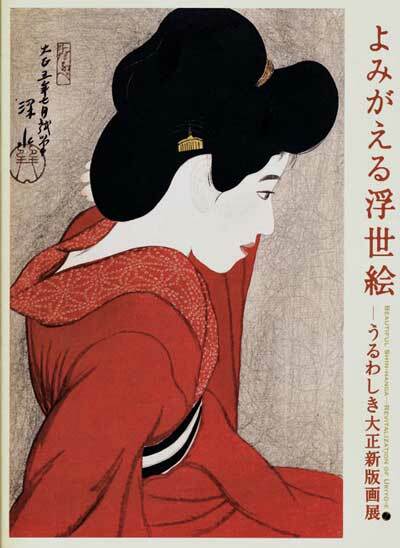 ✧ We buy and sell quality Japanese Woodblock Prints and Paintings. The latest news and information about Japanese prints. CONTENTThe "Japanese Prints – Newsletter"
• Invaluable tips on “how-to” select Japanese prints for long-term enjoyment and benefit. • Advice on “how-to” avoid very costly mistakes. • Japanese print value and valuation methods. • New exhibitions and exhibition catalogs. • New books about Japanese woodblock prints. • New and helpful information about prices and pricing. • Crucial market information; What is selling and to whom, and for what price. • Useful tips on “how-to” care for and preserve your collection for maximum value, future generations and your enjoyment. • Japanese print appraisal methods. You will join many thousands of happy subscribers who get these important, free, useful and effective news. Start today! Fill in your email in the subscribe box above. OUR GUARANTEE – You will only receive a maximum of one email a month. We will never ever share your email with anybody else. First, fill your email address then you have to fill a security-code, to be able to send your email address, so we can see you are human and not an "evil spam robot". After you have confirmed your email, you are a subscriber. We are using Google's subscription system which guarantees your absolute privacy and safety. We will not send you any annoying spammy emails and maximum one newsletter per month. Collections or individual items purchased. Valuations undertaken.Visit by appraiser, possible. We have access to one of the largest and best inventories of Fine Japanese Prints, Japanese Paintings and Ehon for sale. We don't deal in later printings, copies, faksimilis, prints in inferior condition or similar. Please put "Japanese Print Blog" in the email message subject line. Email us, if you have any questions about an item, have a wish list or would like to be updated about news. Or to have some artwork appraised. Kuniyoshi - Shunga, of three English women attacking a "samurai"
Goyo - Brochure "Japan to London and Antwerp"
Would you like to buy or sell Japanese woodblock prints? BUY: Are you searching for any special artist, subject or some special design? – We have many thousands of Japanese prints available. Send us your wish list. SELL: Would you like the highest price for your Japanese prints? – We buy individual Japanese prints and collections for cash; fast service and at the highest price. Contact us through the form on the contact page or info@japaneseprintappraisal.com. (Exhibition Catalog, Edo Tokyo Museum of Art., 2009). Softcover: 277 pp., profusely illustrated in colour with prints from the Robert Muller Collection and other sources, text in Japanese, image captions in Japanese and English, English essays and list of plates, about 315 colour illustrations and some B&W text figures, 30 cm. Publisher: Asahi Shimbun & Tokyo Metropolitan Edo-Tokyo Museum, Tokyo, 2009. James Ulak - Robert O. Muller: The Practical Romantic. Koyama Shuko - The Birth and Development of Shin-hanga, Focusing on the Activities of the publisher Watanabe Shozaburo. Includes bibliographical references, valuable for the collectors, researchers or institutions trying to build a library on shin-hanga (p. 258-259). A very fine catalog of the Robert Muller collection of Shin Hanga prints with much documentary material on the printing and the process of creating Shinhanga. Strong on Shinsui, Yoshida and Hasui prints. An essential reference source for the "Shin hanga" collector as well as the general Japanese print collector. Get a free appraisal and value of Hasui, Yoshida, Shinsui et alia. Check prices; we buy and sell; do appraisals and valuations of prints by Kawase Hasui, Hiroshi Yoshida, Ito Shinsu, Hashiguchi Goyo and other shin hanga artists. More reference books, to improve your library and your knowledge. Benefit from the latest news about Japanese prints. Information about Japanese prints and ukiyo-e.
Also Japanese print appraisal and valuation methods. We will keep your email address absolutely safe. Please put "Japanese Prints" in the email message subject line. Email us, if you have any questions or wishes concerning Japanese Prints. To see all the artworks on this blog click HERE! The copyright © (2018) of the images in this website are owned by Fine Japanese Prints Plc.. All rights reserved. All the artwork is owned or has been owned by Fine Japanese Prints Plc.. Copyright © (2018), of the text, belongs to Anders Rikardson, Sweden. All rights reserved. Japanese print appraisals by the foremost specialist Japanese print appraisers in the World. A free informal woodblock print appraisal available. Find out the prices and the values of your Japanese woodblock prints for free! Scheduled appraisal meetings available in Tokyo, New York, San Fransisco, Los Angles, Miami, Chicago, London, Paris, Berlin, Düsseldorf and Hong Kong. Would you like to search for Japanese print related websites in other languages? The below words and expressions might help. + Estampes Japonaises, les gravures sur bois japonaises et les E-hon (livres japonais) datant du début de la période Edo jusqu'à aujourd'hui. + Japanse houtsneden, en E-hon (Japanse boeken) vanaf de vroege Edo-periode tot eigentijdse kunst toe. + Stampe Giapponesi, di stampe su legno giapponesi e di E-hon (libri giapponesi) dagli inizi dell'epoca Edo fino ai giorni nostri. + De grabados japoneses en planchas de madera, y de E-hon (libros japoneses) desde el primer período Edo hasta la época contemporánea. + Japanska träsnitt, japanska målningar och E-hon (japanska träsnitts illustrerade böcker), från början av Edo perioden, Meiji, till samtids konstverk. + Japanske træsnit og E-hon (japanske træsnits illustrerade bøger), fra bygynelsen af Edo perioden til nutiden. Japanse houtsnede, Japanse houtsnedeprent, Japanse prent. PM – Katsushika Hokusai: The Big Wave is universally considered as the foremost of all Japanese Woodblock Prints. Maybe it is also the universally most famous of any artwork.